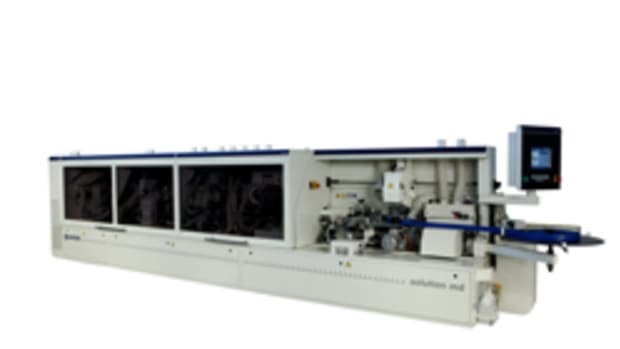 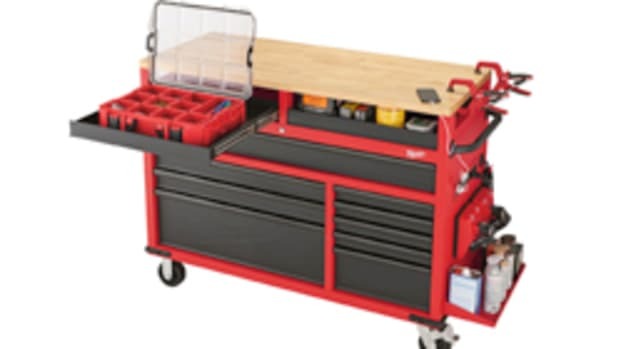 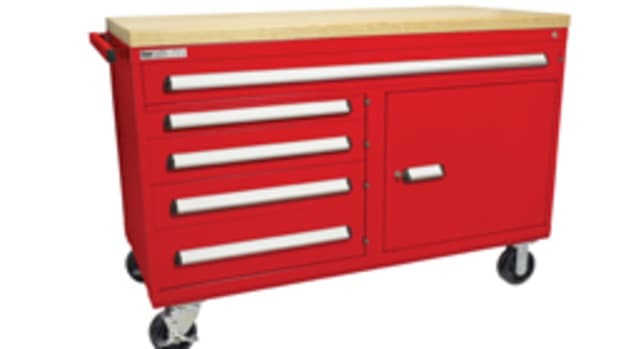 Hoffmann Machine Co. introduced a mobile solid-wood edgebanding press, designed to quickly and precisely attach solid wood edges to panels made of MDF, particleboard and plywood. 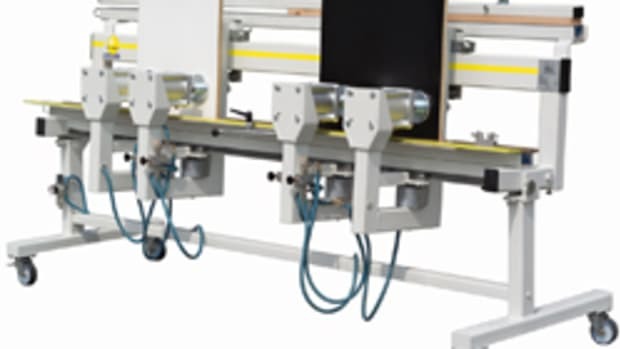 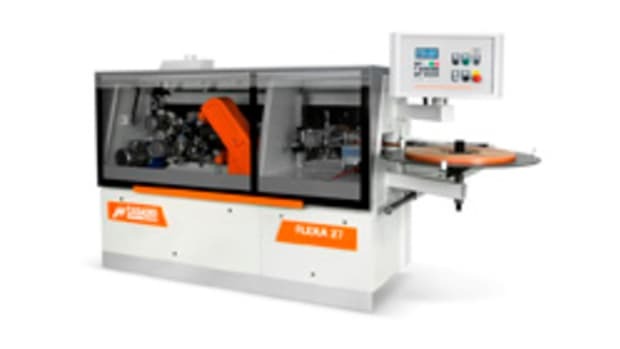 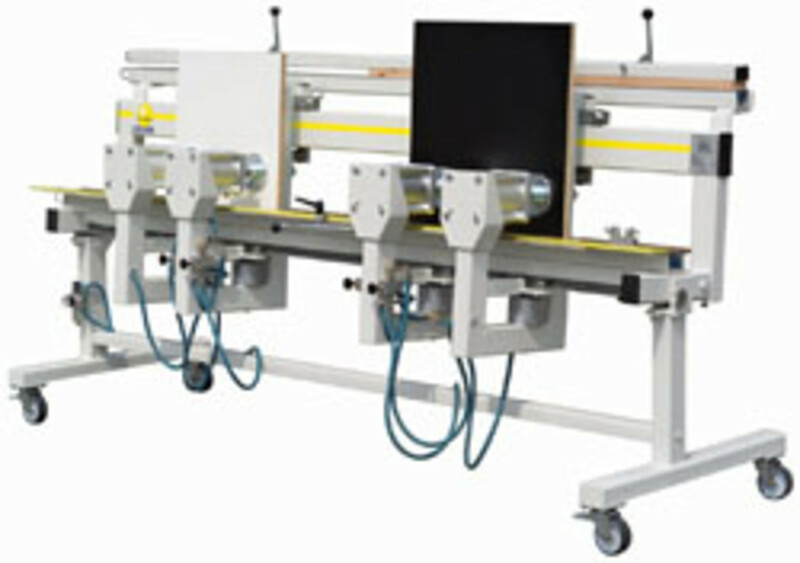 The machines are equipped with two heating elements and two or three pneumatic clamping stations. 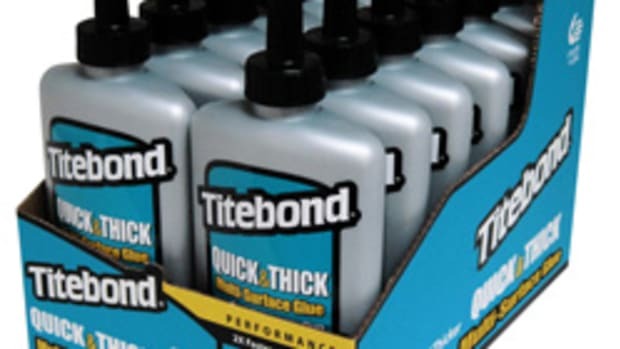 Standard white or yellow PVA glue is used in combination with heating elements to attach up to 2” thick and up to 4” tall solid wood edges without the need for special glue, splines or additional fasteners. 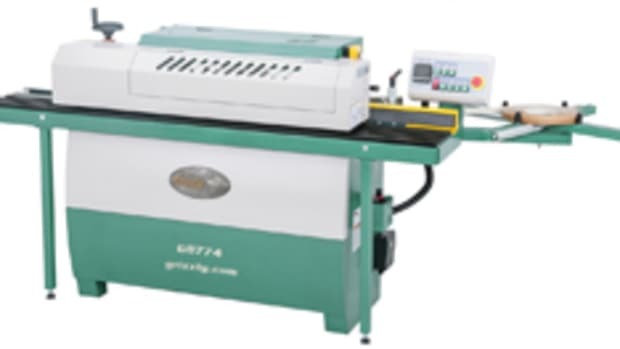 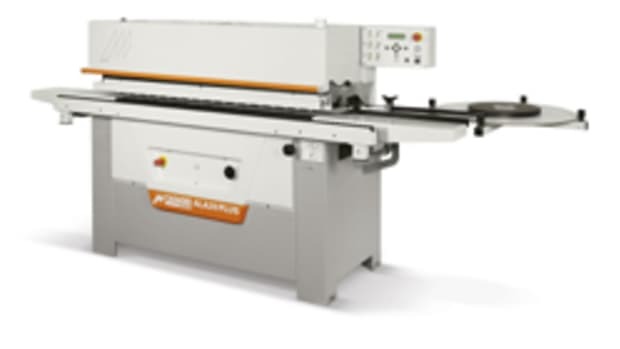 Glue bond strong enough to remove the panel from the press is achieved in about one minute on 1” thick wood edges – less time is needed for thinner stock, according to the company.